Peterbalds are an uncommon, yet highly sought after breed. What is so unusual about this particular type of cat is that the hairless and nearly hairless gene is not always transferred to offspring. It is said that for 1 in 4 Peterbald kittens born will have a hairless look. Because of the diversity in their coat which ranges from totally bald to a full coat, many people are drawn to the complexity of the breed, and many people naturally seek out answers to the countless questions surrounding this mysterious animal. Peterbalds are a relatively new breed. In the Russian of Rostov on Don, a hairless cat was first discovered in 1988. The Russians named the breed a Don Sphynx and began sending the felines across Europe to various breeders. As a result, it was found that some kittens born were totally hairless while others had a full coat. It was decided that the hairlessness was a genetic mutation. It was later discovered that some (although not all) kittens born with a full coat were sometimes losing their hair as they got older. 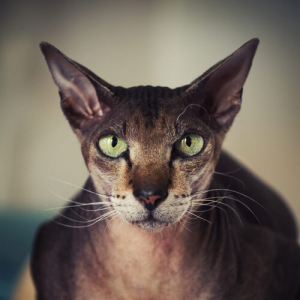 The ultimate combination of breeding between a Don Sphynx and an oriental shorthair ultimately led to the template for what is now called the Peterbald breed. There are currently genetic studies being conducted which may lead to more understanding about the variations in the coat. 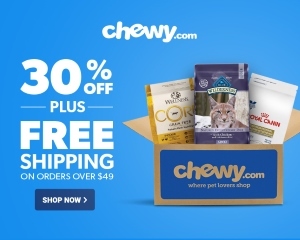 In the meantime, cat breeders and admirers alike can rest assured that this mysterious cat is among the unique and sought-after animals in the world. The year 2005 marks the time when The International Cat Association accepted the Peterbald breed into championship competitions. Further research will go a long way in understanding more about this fantastic feline. The appearance of Peterbald cats appears to combine both elegance and athleticism. The breed is classified as a medium build and should have a tubular shape to their body. If the Peterbald appears to have a regular coat, it can still be bred as a Peterbald because it carries the hairless gene despite the fact that it has fur. However, it cannot compete in competitions. You should also be aware that the coat may change over time. It is important to consider the complexity of cat allergies before welcoming a cat into your home. While Peterbald cats are sometimes bald or nearly bald, this does not necessarily mean that you will not have an allergic reaction. Allergies from cats can originate with the saliva, coat, or dander. It is best to spend a significant time around any particular breed before choosing one for your home. Based on the cross breeding between the oriental shorthair and the Don Sphynx, you should expect a Peterbald cat to live between 12-15 years. Because the breed is relatively new, there is not much reported in terms of ongoing health concerns. It is simply important to follow the grooming guidelines to prolong the health and safety of your cat. Much of the grooming will be based on the type of coat of your Peterbald. 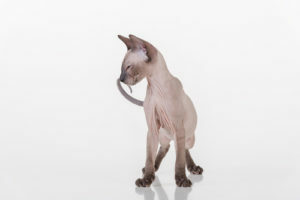 A hairless or nearly hairless feline will not require regular brushing. You should bathe your cat once per month as bald felines can be more oily than other breeds. Be careful not to wash too often as it could dry out their skin. You can use cat wipes to clean their skin in between bathing. In the case of hairless cats, sometimes they do not have eyelashes so particular care should be given to the eyes. Without the protection of lashes, debris is more likely to enter the eye. It is important to take care to wipe the cat’s eyes on a regular basis. Likewise, the same care should be given to their ears as some Peterbalds do not have fur to protect their ears and should be cleaned periodically. Keep in mind that hairless cats are more sensitive to the weather. This may mean that your feline will need an extra layer in the winter and sunscreen in the summer. Be mindful of the fact that bald cats generally burn more calories than other breeds, and their diet should reflect their nutritional requirements. Peterbalds are known for their almost dog-like personality. They enjoy the company of humans, dogs, and cats alike. However, it is important to note that they are by far more social than typical house cats. They are likely to welcome guests into the home and follow you around throughout the day. They are a naturally curious and adventurous breed and do well with small children. They have big personalities and can be very vocal. Friendly and fun, the Peterbald breed is an excellent choice for a person looking for a cat that enjoys company and attention. If you are considering a Peterbald cat for your home, here are some things to keep in mind.